I keep thinking about gardens (well, it IS spring here!). 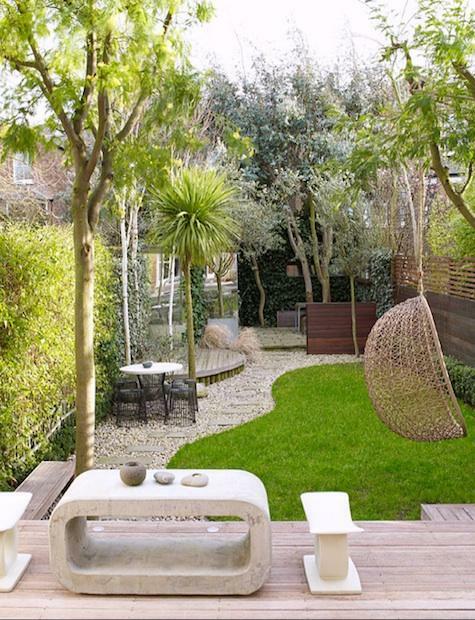 Am loving this one – especially the big mirror at the back giving the illusion of space and a convenient place to hide some of the not-so-pretty items like bins etc & of course, the swing!! !